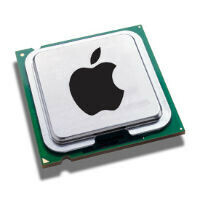 Apple buys into United Microelectronics Corporation; planning to build its own chips? As we all know by now, Apple and Samsung have had something of a disagreement going for a while now. And, the ongoing litigation between the two companies has put a strain on their relationship, which has had Samsung manufacturing the processors that are used in iOS devices. There have been a lot of rumors that Apple is planning to ditch Samsung, but a new rumor says that Apple may just build its own chips. The rumors have been circulating that Apple is looking to TSMC to build chips, and has even signed a deal with the company that could begin next year. But, SemiAccurate is reporting that TSMC doesn't have the "capacity or flexibility" that Apple needs to meet demands; and, to make up the difference Apple has bought into United Microelectronics Corporation, a Taiwan-based chipmaker. We can't get at the full story, because SemiAccurate charges $1,000 per year for access, but apparently Apple has made a sizeable investment in UMC that could go beyond a manufacturing partnership and into territory which would have Apple building its own chips. We have already seen Apple hiring ex-AMD employees, and we all know how Apple likes to control its own hardware, so the rumor may not be that far fetched. SemiAccurate has a... semi-accurate history with Apple rumors. The site had predicted Apple would ditch Intel in favor of ARM processors for its Mac line, which never happened, but it did accurately predict Apple returning to NVIDIA for graphics. Definitely one of. Samsung figured it out a long time ago, kinda surprised it took others as long as it has to go this route. Samsung become a super power from that smart decision too. Apple has owned stakes in ARMH and Imagination (PowerVR) for years. They have purchased, outright, three chip companies in the last decade, including PA Semiconductors. This is nothing new for them. As for Samsung, they are just an ARM licensee, and Apple has an ARM Architecture license. Apple will do well in whatever venture they take on, cuz they have the know how capitol, and partnering. Fanboys want them to fail, want them gone, but lets be real...not gonna happen. it's hater that want Apple to fail not fanboys. cannot agree more with you, only the irrational "geek / tech guy" would think that samsung is clean and innocent. and belief they own high technologies trace back the history. samsung has a great record for backstabbing partners, copying & stealing technology, ideas. ppl think that samsung made great tv, they dont realised that samsung steal it from SONY after they join venture as S-LCD back in 2004. samsung slowly eating sony market share by offering "sony" product at a way more cheaper price & market it with tons of ads. same thing happened with apple & samsung. in business they is nothing wrong with samsung, so do APPLE suing samsung. and getting 10 billion. SO pple stop being a s h e e p! A lot people don't realized that APPLE helped build Samsung's business, i.e. people don't know how Samsung backstabbed Apple. In order to secured Flash memory, Apple commited $5 billions to its suppliers in exchange for long term contracts in 2005. Ths money was used by Samsung to help expand their Flash memory capacity. See link:http://www.apple.com/pr/library/2005/11/21Apple-Announces-Long-Term-Supply-Agreements-for-Flash-Memory.html. As for DRAM info, Apple is very tight-lipped about disclosing this type of info; however, Tim Cook did disclose there are strategic relationships with DRAM supplers. Reade this article about how Samsung Mobility looked into Apple's Samsung relationship to gain an edge. http://www.businessweek.com/articles/2013-03-28/how-samsung-became-the-worlds-no-dot-1-smartphone-maker It is a KNOWN fact that Apple played a huge role in helping Samsung become a giant in the electronics business only to see Samsung's Mobility Business steal from Apple. Talk about backstabbing. The Businessweek article makes it clear to the average person how Samsung gleams inside, confidential information from customers (even those with long term relationships) to benefit itself. If you do business with Samsung, you might be digging your own grave. 1.best move they good make for SOME people...others like the unibody design 2.I bet you don't say that about the HTC One! 3.LOL most people who buy apple products buy them because they like what apple has done and besides the closed system you say creates the best tech ecosystem anywhere eg. Someone can connect there iPhone to their iPad to their Macbook to their iMac to the Apple TV in an instant! 1. Who said you can´t have SD card slopt & unibody design? That´s valid for the removable battery, but NOT for the SD card slot. The only reason iPones don´t have it is to segment the market and differenciate the "not price-concious" people, in oethe words: that is an excuse to be able to charge more to the people that don´t care much about money. It´s and old marketing strategy. And yes, many people say the same about the HTC One, but at least they have the decency to start at 32 GB... not 16 like the iphone for the same price. not like that, most people cannot buy a ios device is because it price very high it should reduce its price and new ios device like one low-end, one mid-ranger and the device must be zero-lag, compare to high-end ios device ,it just lose on lower screen resolution, camera, front camera enough! not really it may cost theme more to run the foundery than to buy direct. they can contact Lays to make those. That is their track record. If Apple intend on keeping up with the front runners, they MUST own their own product, not outsource it... That way you keep people from spying... And copying, good move Apple.